Writers' Lounge - For All Games! My friend @friendsfan367 suggested, " i think it would be cool to have like a writer lounge where new writers like me could chat with old writers like you. opps i meant experinced." So, here we have it! The Writers' Lounge, where new writers can chat with old writers like me! This is a place to talk about all aspects of your writing! 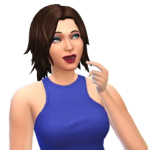 Every Simming and writing question is welcome, and everyone is invited to chime in with writerly suggestions, responses, jokes, feedback, gripes, comments, and conundrums. 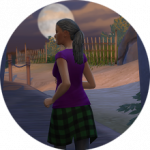 Even though we're located in the Sims 4 area, writers of stories involving all Sims games are welcome! 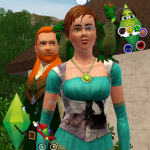 We have people who write stories using Sims 2, Sims 3, and Sims 4 games--and everyone is appreciated and included! Treat each other with kindness, acceptance, appreciation, and respect. Follow the EA Forum Guidelines. Remember that this is a public forum, meaning that anybody anywhere with Internet access can read what you write. If you're a youngster, don't write anything you wouldn't want your mom to read. If you're an adult, don't write anything you wouldn't want your kid or niece or nephew to read. Please don't feel bad if we pop in for gentle reminders if things get really OT or if we start to veer from the forum guidelines. We still love you! I'll keep the coffee and tea pots full--you bring your favorite mug, and let's kick back and chat about writing! Join us for daily conversations! We've got themed conversations Monday - Sunday. Of course, you can talk about other things, too! But if you're looking for a specific topic, swing by and join us! How Do I Get Started Writing? If you have questions about writing SimLit, please see the following guide, written and compiled by @JulyVee94. Here's a listing of the blogs/threads of the regulars here. If you'd like to have your blog or thread listed here, please let @friendsfan367 or me (CathyTea) know. I'm kinda busy, so it might take me a little while to get you listed, but I definitely will list your story here, if you request it! And... Happy Reading! Note: Some of these stories may contain adult subject matter. Please read at your discretion. Lynwood - Gieke Legacy | Wishing Upon a Star 2.0 | Operation: Pollinate Newcrest! 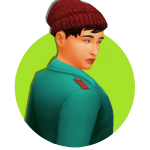 February 4th - The Sims! You'll have to bring the donuts. I'll bring blueberries! lol. i was excited my idea was up so i missed the s fixed now. i think. And that just about sums up our advice for writers. So, really, that's about all you need to know! Oh, yes! Fun is guaranteed with enough a) coffee, b) donuts, c) blueberries, and d) cupcakes, don't you think? This is a neat idea for a thread. Once we get the posts rolling I wonder if we can request a sticky for this? i guess if i'm going to co found a writers lounge i should actually start writing. thank you everyone for stopping by . i told cathtea this morning that i wanted something like this. ilove her you put a idea in her head or completly confuse her and she runs with it. i confused her repeatedly because my first attempt at writing was random posts . that she made a summary of because i confused her . this morning i said bring doughnuts. this afternoon i bought bluberrries. when my coffe finishes i'll try and figure out a story and wordpress. i started a traditional legacy but as cathtea knows already the first time i tried it it didn't go well. so hopefully my founder lives beyond day 1.i did finish but that was with a lot of help and engouragement. The cool thing about writing legacy stories is that sometimes the massive fails become the most exciting and interesting stories! at least now i know they can burn up in a stove fire. in real life just the food catches fire i think.i never heard of a realife story where the whole stove caught fire. I think it happened the night my boyfriend and I met... pizza party... the pizza AND the oven caught on fire, but we didn't really notice, because we were talking and by the time we smelled smoke, the hosts had put it out! how many times have i started over lol. actually i messed up already so i need to start over i can't rember where the suitof armor is. You know what's so cool about this thread? Since we started it, we can go nuts with as many off-topic posts as we want! Yay! We don't have to worry about boring others! It's a lounge, right? So if our conversation is boring to others, they can listen to the music instead of listening to us! no wonder we get along you think like me. I know, right? I never feel wilty-flower with you! is there a armored suit or did i make that up. sorry for being on topic. Yes--there's the suit of armor! It's in Buy Mode in the Decorations, under sculptures. It costs a lot, so it's near the end of the list. I just stuck mine in the family inventory once I bought it. *Comes in grabs a cup of coffee and sits down* Wow great thread great idea. This sounds like this is going to be a great thread. Actually it already is a great thread. If I may go off topic, I've finally completed my novel to-do list which literally is going to be my life saviour. I now feel so much more organised as to what I need to plan and go into! Planning is going to take a while, but hopefully I can finish planning by the end of this year! Yay!!! Way to go. Great job on getting organized and good luck on the planning. i waited for you for so long i looked it up in the search feature.